The Department of Defence is calling for feedback from Australia’s IT providers over the development of its proposed IT supplier panel overhaul, replacing its expiring Applications Managed Services Partnership Arrangement (AMSPA) scheme. Named the Information and Communications Technology Provider Arrangement (ICTPA), the proposed panel arrangement comes as the result of a new IT products and services sourcing strategy developed in late 2015. Following the strategy’s recommendations, the department intends to progressively replace its existing IT panel framework. The creation of the ICTPA is aimed at making the department a “smarter and more sophisticated” buyer of IT goods and services. Now, the Department of Defence has announced it could issue a potential Approach to Market (ATM) in 2017, for the establishment of the proposed panel and is seeking feedback from the industry on certain details of the proposed panel. The overall aim of any potential ATM for the ICTPA would be to establish a set of pre-qualified IT service providers that the department could approach for obtaining information and communications technology services. It would also help to establish an adaptive mode of procurement that supports Defence's ongoing and evolving business need for different IT services. The department said it hopes to achieve these goals through the implementation of a new structural framework that gives it the ability to procure affordable, high quality, and flexible services by engaging the market through a new IT sourcing ecosystem. The initial step in achieving this objective is to replace its outgoing AMSPA scheme, which was established in 2011, and saw Accenture, BAE Systems Australia, CSC, IBM, and HP Australia chosen as preferred industry partners for major Defence contracts over the past five years. At present, the department said it does not have a pre-determined limit on the number of suppliers that it may appoint to the ICTPA for each of the three service areas. However, the appointments will ultimately depend on the number and quality of tenders received as well as the overall value for money assessment. The move to garner industry feedback about the next iteration of its IT supplier panel arrangements comes several months after the department confirmed it was dismantling the AMSPA scheme, which was worth millions of dollars over the course of its life. It engaged Deloitte early this year in a $7.8 million deal to help it develop a replacement for the AMSPA panel. Defence accounts for more than a billion dollars' worth of IT contracts annually, with the department inking an $800 million deal with Lockheed Martin’s Information Systems and Global Solutions (IS&GS) business in 2014 to supply centralised processing services until 2022. The development of the new IT supplier panel comes as the department’s Chief Information Officer Group (CIOG), which is charged with managing and maintaining defence’s fixed and mobile IT networks, heads up a long-term technology transformation. The multi-year IT strategy is aimed at taking Defence from an infrastructure-centric approach to IT, to an information-centric approach, with a focus on information, the evolving technology landscape, and changes in the way IT services are delivered. When the department signed its deal with Lockheed Martin, Defence CIO, Dr. Peter Lawrence, said the project would consolidate infrastructure and applications, improving the overall effectiveness and efficiency of data centre delivery in defence. “Centralised processing will deliver a smaller number of more reliable and resilient data centres, from within 280 data centres to 11 domestically and three internationally,” Lawrence said at the time. “It will improve the availability, reliability and security of Defence’s computer processing capability,” he said. 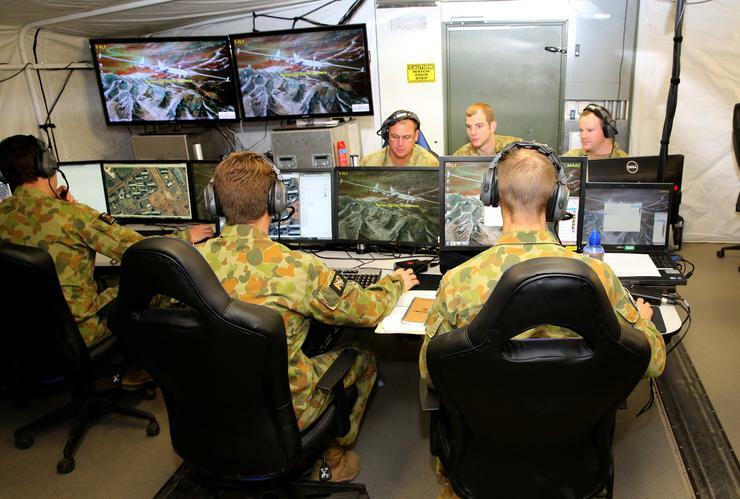 The Department has also released the latest iteration of its ongoing IT transformation activities with the Defence Information and Communications Technology Strategic Direction 2016-2020, replacing its 2009 IT strategic plan. The new strategic plan, which reveals plans by the department to spend $20 billion on IT over a 10-year period, outlines how it intends to undertake its technology overhaul from now until 2020. The paper also outlines the department's ongoing Single Information Environment push, which sees the consolidation of data centres, infrastructure remediation, and high speed networking. Read more Where will enterprise automation leave Australia's workers? Defence's request for industry feedback on the proposed IT supplier panel arrangements closes on November 25.